Just two hours south of Santiago, Chile, lies a nearly-11,000-acre paradise in the Millahue Valley. 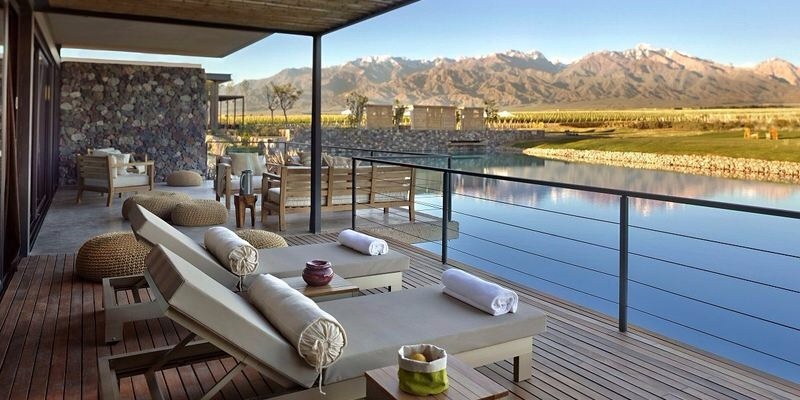 Surrounded by vineyards and overlooking a large lake, with the majestic Andes Mountains in the background, Viña Vik is an avant-garde retreat and wine-spa that merges exceptional design, incomparable location and natural setting, warm authentic service, and environmentally-minded practices. No two suites are alike, and each of the 22 suites feature exclusive artwork by Chilean and international artists, most of them created specifically for the retreat in cooperation with Alexander and Carrie Vik. Every suite boasts floor-to-ceiling windows, allowing guests to take in the majestic views across the property. Art and design are central to the interior spaces and showcased throughout the retreat, from each piece of furniture, to murals and installations, to sculpture and paintings alike. Dining amenities at Viña Vik highlight locally-grown and produced ingredients and a continued emphasis on authentic South American cuisine, with the addition of VIK produced on-property. Guests are encouraged to dine in the indoor dining room or on the expansive outdoor terraces overlooking the valley lake and surrounding vineyard or, for a different experience, outdoors in a mountain grove. Amenities include private wine tastings led by international wine experts to guided tours through VIK winery facilities, and horseback excursions through the vineyard and surrounding mountain trails or tours on mountain bicycles. To unwind and indulge, guests are invited to revel in Viña Vik’s wine spa, with treatments inspired by the land and incorporating VIK grapes into one-of-a-kind massage, facial and body-scrub treatments. Beyond the public living areas, guests will find a beautiful cantilevered slate pool extending out over the valleys and lake below, offering the sensation of swimming above it all. The surrounding area offers many interesting leisure opportunities, and Viña Vik guests are able to consult an Experience Concierge in advance of their visit to create unique itineraries that showcase the area’s most interesting destinations, from the surrounding Apalta Valley to the Colchuagua Valley and beyond.